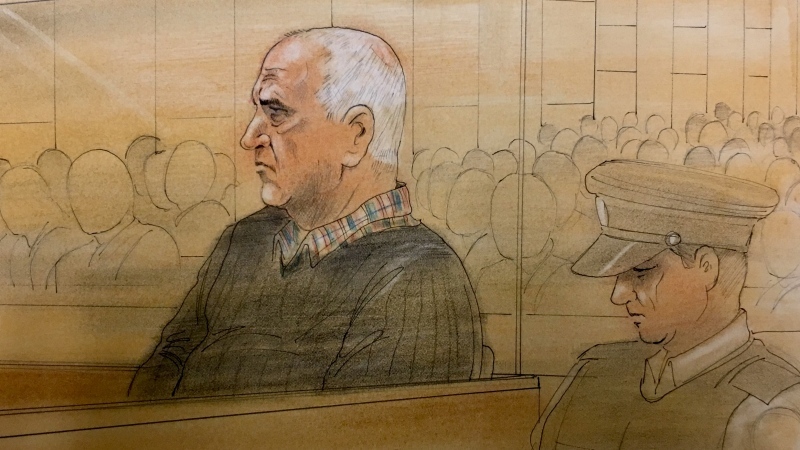 The toll Bruce McArthur’s crimes took on people who knew his victims was made clear at his sentencing hearing, as their stories were shared in front of the Toronto serial killer. WARNING: This story contains graphic details that some readers may find disturbing. The extent of the toll Bruce McArthur's crimes took on people who knew his victims and on Toronto's LGBTQ community was made abundantly clear Tuesday. Person after person took to the witness stand in a Toronto courtroom to deliver victim and community impact statements explaining how they were affected by one or more of the eight murders McArthur committed between 2010 and 2017. Court heard from some of the people closest to McArthur's victims. Abdulbasir Faizi's wife Kareena talked about her concern for their two daughters now growing up without a father. A friend of Kirushna Kanagaratnam detailed how the two of them had arrived in Canada together as refugees, convinced they would now be safe from the violence they had encountered in Sri Lanka. Soroush Mahmudi's wife, Umme Fareena Marzook, explained how the pain of her husband's death had been compounded by his status as the family's breadwinner, leaving her unable at times to access counselling or have enough food to eat. "I still have not comprehended how this crime happened, and it consumes the majority of my thoughts," said Jalil Kayhan, the brother of Majeed Kayhan. McArthur, who was positioned with his back to the gallery, did not visibly react to any of the statements. However, he did partially lower his head during some of the more emotional moments. One day earlier, the 67-year-old had kept his head up as the Crown read out explicit details of his crimes. In addition to Faizi, Kanagaratnam, Mahmudi and Kayhan, McArthur has admitted to killing Skandaraj Navaratnam, Majeed Kayhan, Dean Listowick, Selim Esen and Andrew Kinsman. All eight men had ties to Toronto's LGBTQ community. Most were living in the margins of the city in one or more ways -- some to the point that their disappearances were never reported to police. It was only when McArthur targeted Kinsman -- considered to be a more well-connected person in the community -- that police were able to zero in on McArthur as a suspect and find evidence linking him to the other seven men. The effects the eight murders had on the community around Toronto's Church Wellesley Village was a common theme in the impact statements, which began Monday and concluded Tuesday. Many speakers expressed concern, either for themselves or on behalf of others, that LGBTQ people in Toronto now fear being alone with strangers and even friends. McArthur had known most of his victims for years. "If there was one [killer] in our community, there could be others," read a statement filed on behalf of Toronto's South Asian and Middle Eastern LGBTQ population. One of Tuesday's speakers was Gab Laurence, who knew Esen through her work with St. Stephen's Community House. She said Esen had reached a "turning point" and was trying to become a peer outreach worker. "He cared deeply about the well-being of everyone around him," she told the court. Laurence described McArthur's targeting of vulnerable men as "heinous" and said the marginalization of his victims made it easier for McArthur to commit his crimes undetecetd. "The homophobia, racism and xenophobia … fosters the perfect environment for crimes of this nature," she said. Tuesday's portion of the sentencing hearing also included arguments from the Crown and McArthur's lawyers on whether McArthur's automatic life sentences should be served consecutively or concurrently. The Crown argued for the eight sentences to be served over two consecutive terms, meaning McArthur would not be able to apply for parole until he had spent 50 years in prison -- at which point he would be 116 years old. Part of the reasoning for this, Crown prosecutor Craig Harper said, was to spare relatives of McArthur's victims from any possibility that McArthur would be able to apply for parole before his death. Defence lawyers were expected to argue for all eight sentences to be served concurrently, which would allow McArthur to apply for parole after 25 years. He will be 91 years old at that point, if he is still alive. McArthur's lawyers were expected to compare their client's case to that of Elizabeth Wettlaufer, the serial killer nurse who was sentenced to eight concurrent life terms in 2017. Harper argued that, although both McArthur and Wettlaufer killed eight people, there were significant differences in their cases. One of the biggest differences, he said, was that Wettlaufer confessed to her crimes when there was no reason for police to suspect her of wrongdoing. McArthur, on the other hand, was only identified as a killer through investigative police work. Justice John McMahon is expected to sentence McArthur Friday morning. Reporter live blog from Ontario Superior Court. Can't see the feed? Click here.